“The world is a book, and those who do not travel read only a page.” - said, Saint Augustine. For travellers around the world, this would sound true as we ourselves know how travel brings a new light to our lives. In a market research conducted by a social website about the happiness quotient in people’s lives, people opened up and expressed their opinion that one reason for lacking happiness was that they live a monotonous life. The principle Wake, work, sleep is now working perfectly on the global population and it makes people feel that they are losing out the excitement of life. 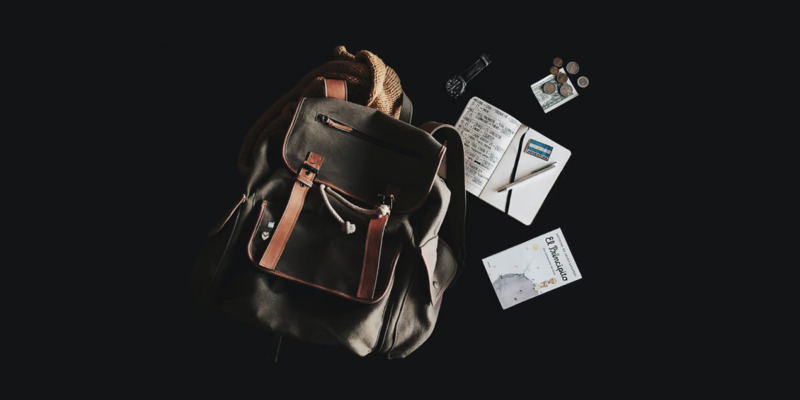 Statistics states that 59% of travel-related searches on the internet are coming from those aged between 35 and 64 which denotes at what age people recognise the value of travel in their life. Why do you travel? is a question regular travellers face from different people that come across their lives. Our life is a journey, people believe; but, nobody accepts the fact that travel is a necessary process in our lives. Even though everyone travels, they fail to understand how valuable it is and they forget to enjoy it as a result. There comes the importance of understanding travel. The purpose of travel differs from person to person. We travel for work, leisure, hobby and so. Long holidays, weekend tours, work-related travel, leisure trips, etc. are some of the various types of travel we see and practice in our everyday life. All these travels come with a purpose of its own and we embrace it for what it delivers. Like many of us believe, travel is not a very complicated thing. This world has people who think I will go on a world tour when I’m a millionaire and people who travel the whole world with a bag, a couple of clothes and a bicycle. About our great travels, we can say, we have seen more than we remember and remember more than we have seen. Helps to find peace of mind. Enhances social and communication abilities. Broadens our horizons and opens windows to meet new people. Helps us to gain real-life experience of different parts of the world. Never share your OTP (One Time Password) with anyone. Do not ask anyone else to make transactions on behalf of you. Be sure that no-one is following you to ATMs, payment centres, etc. HOW TO DO SAFE TRANSACTIONS WHILE TRAVELLING? There comes the need of a digital bank. It can help you do all your banking transactions from wherever you are with a high scale of security. Digital banks are those banks which completely operates over the internet and never bothers you to walk-in to their branch. WB21 is such a bank that has been contributing much to the global economy. The service was started in late 2015 and in less than 3 years, it could achieve 5 million customers around the globe which proves the quality of service and customer support to be exemplary. It’s very easy to create a bank account with WB21 and transact through it. Anyone can simply open the website or the mobile app of WB21 and register for an international digital bank account in less than 8 minutes and transfer money right away to the desired destination. The payments are processed in real-time and can be sent in any of the 28 currencies to 180 counties. Mostly, travel needs money, but it doesn’t mean that we have to carry a wallet full of cash or a pile of bank cards; everything is possible through a digital bank account with WB21. When you can do any transaction or currency conversion on the go from your computer or mobile phone, it means the latest technology of WB21 has your back to keep your money safe when you enjoy the travel. And remember, you only live once, so start travelling to different places and get some life-altering experiences.